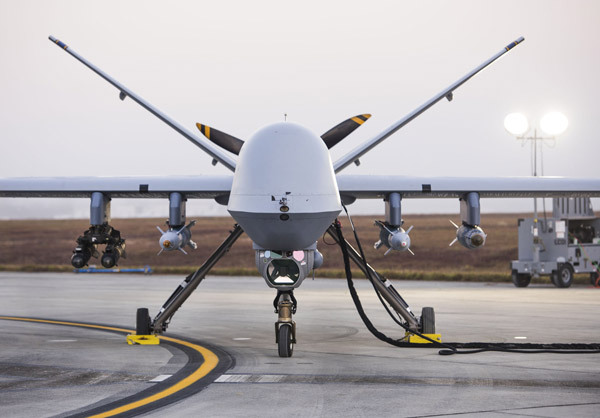 For the first time, Combat Hammer, a weapons system evaluation program for air-to-ground munitions, included remotely piloted aircraft. Combat Hammer took place here the first part of November. 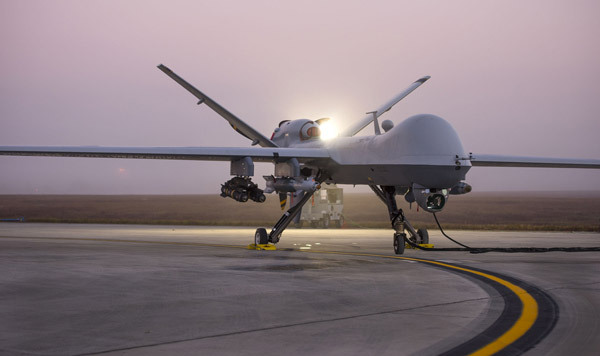 Enjoy these photos of the MQ-9 Reaper from Duke Field. Photos by Ilka Cole, Team Eglin Public Affairs. 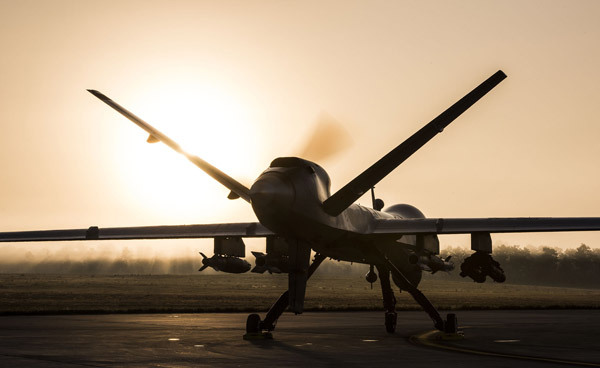 An MQ-9 Reaper sits on the flight line as remotely piloted aircraft crews wait for the fog to clear during Combat Hammer Nov. 6 at Duke Field, Fla.
An Airman radios the MQ-9 ground control station during Combat Hammer at Duke Field. 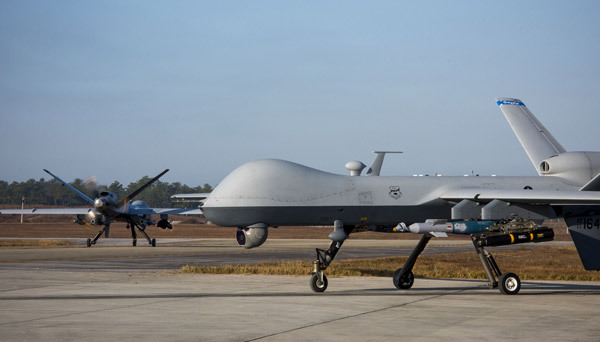 Air National Guard units brought two MQ-9s and a complete launch and recovery system. 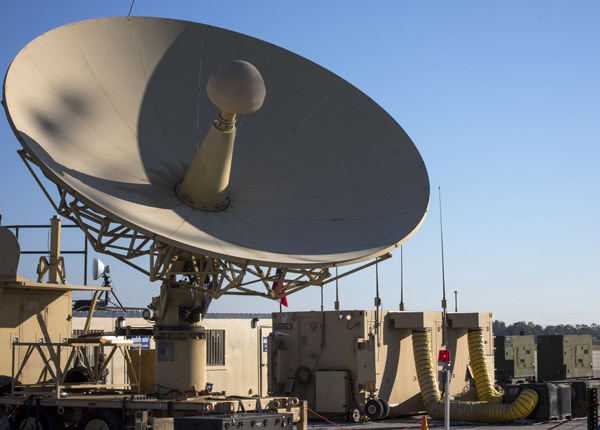 ANG operators planned and executed missions with active duty units for the four-day live-drop evaluation. 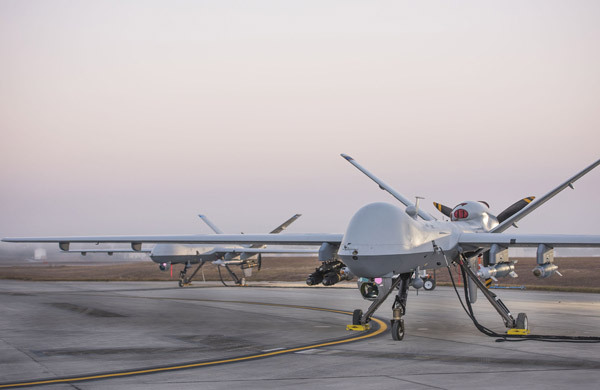 MQ-9 Reapers prepare to taxi down the flight line as remotely piloted aircraft crews wait for the fog to clear during Combat Hammer. 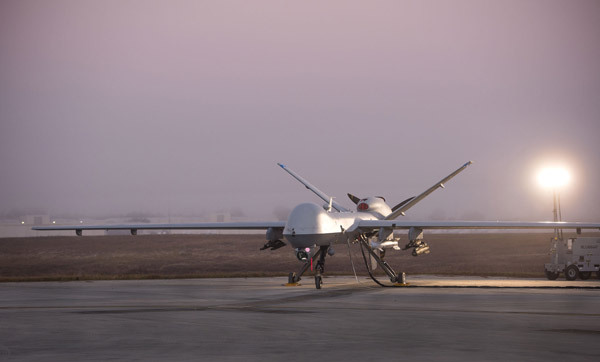 An MQ-9 launch and recovery compound near the Duke flight line assembled for Combat Hammer Nov. 6 at Duke Field. 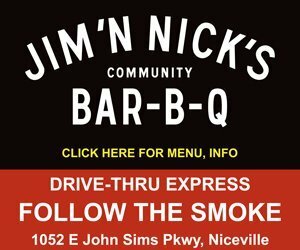 This was the first multi-unit weapons systems evaluation program for the ANG units and their maintainers. 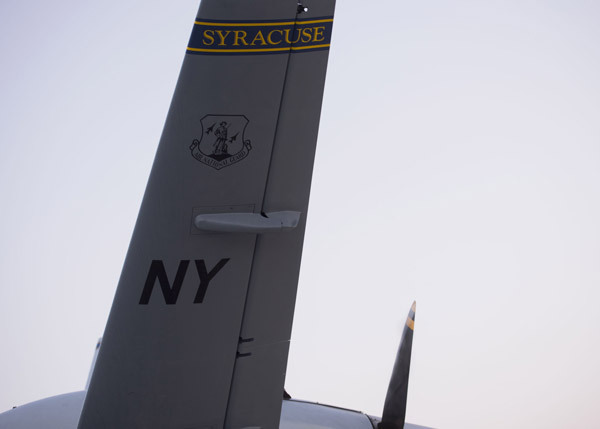 An MQ-9 Reaper tail flash from the New York Air National Guard sits on the flight line. 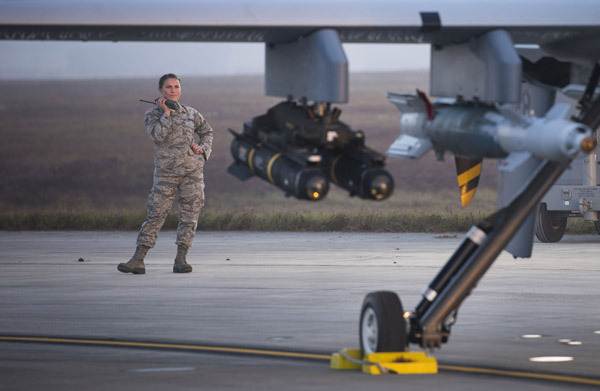 The 86th Fighter Weapons Squadron’s Combat Hammer is a weapons system evaluation program for air-to-ground munitions.